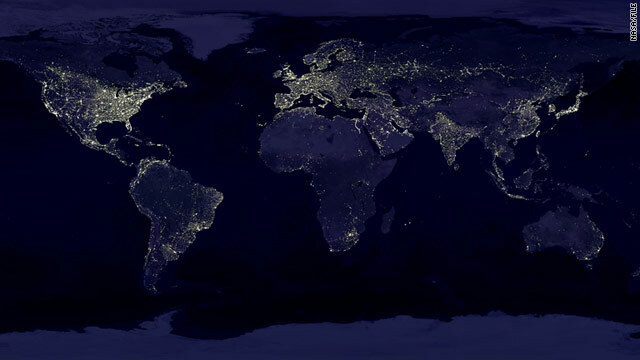 (CNN) — Earth will become home to 7 billion people later this year, and most of the planet’s growth will affect the developing countries the most, straining those regions’ limited resources, a Harvard University professor said Thursday. The world’s growth has been dramatic: It was just in 1999 that the global population reached 6 billion. United Nations projections call for the population to reach 10.1 billion in 2100, according to David Bloom, a professor of economics and demography at the Harvard School of Public Health, in an article published in the July 29 issue of Science. By 2050, about 2.3 billion more people will be added, nearly as many as the total living on the globe as recently as 1950, Bloom said. Humanity grew slowly through most of history, taking until 1800 for the population to hit 1 billion. In the past half-century, the population grew from 3 billion to about 7 billion. Forecasts call for the world’s “demographic center of gravity” to shift from more-developed to less-developed regions, Bloom wrote in his article, according to a Harvard news release. This means the developing world will face hardships in providing food, water, housing and energy to their growing populations, with repercussions for health, security and economic growth. The demographic picture is indeed complex, and poses some formidable challenges. “The demographic picture is indeed complex, and poses some formidable challenges,” Bloom said. “Those challenges are not insurmountable, but we cannot deal with them by sticking our heads in the sand. We have to tackle some tough issues ranging from the unmet need for contraception among hundreds of millions of women and the huge knowledge-action gaps we see in the area of child survival, to the reform of retirement policy and the development of global immigration policy. It’s just plain irresponsible to sit by idly while humankind experiences full force the perils of demographic change,” Bloom said. In the next 40 years, virtually all (97%) of the world’s 2.3 billion projected increase will be in the underdeveloped regions, with nearly half (49%) in Africa. Meanwhile, the populations of more developed countries will remain flat. As those peoples age, however, there will be fewer working-age adults to support retirees living on social pensions, Bloom said. “Although the issues immediately confronting developing countries are different from those facing the rich countries, in a globalized world demographic challenges anywhere are demographic challenges everywhere,” Bloom wrote. In 2011, about 135 million people will be born and 57 million will die — a net increase of 78 million. But uncertainly exists about the global projections, Bloom wrote. Depending on whether the number of births per woman continues to decline, population predictions for 2050 span from 8.1 billion to 10.6 billion, and the 2100 projections vary from 6.2 billion to 15.8 billion, Bloom said.